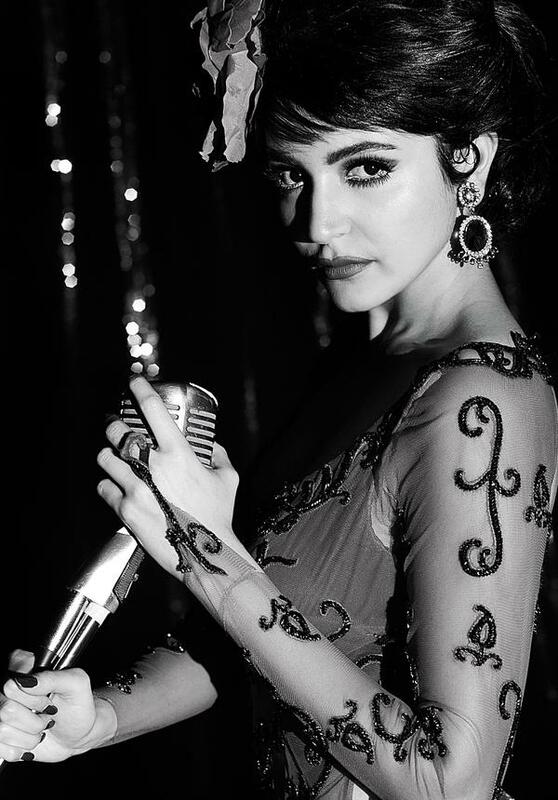 Swimming smoothly through the overtly enlarged pool of unneeded controversies created by the burning desire for some newspapers to get a twisted story out of probable nothingness, Bombay Velvet has finally hit the screens. The “something is wrong with it” whispers began to settle as soon as the promotions began except for some who put their weapons at stake for reasons best known to themselves, only to take an ineffective and comical jibe at Anurag Kashyap’s big dream project. But let’s not waste time discussing the only thing interviewers have been interested in asking the team. Bombay Velvet, is a film of massive scale and promise and also, one of the few in that department out here, to live up to all of it. We are driven through the life of a man with a dream, tracing right back to the source of it’s evolution. Ranbir Kapoor plays Johnny Balraj, a determined boxer who wants to make it big and Rosie Noronha, played by Anushka Sharma is a dazzling young jazz singer. The film follows the parallel progression of their lives, together, in the backdrop of 1960s Bombay a World of power clashes, corruption, and a whole lot more, created with immense care, love, and an achingly adamant eye for detail. Sonal Sawant’s elaborately exhaustive work as a Production Designer for Bombay Velvet helps achieve the mammoth task of recreating this World that can only otherwise be spoken about and Niharika Khan’s gorgeous and eye pleasing costume work gels the characters into the setting while also making them stand out artistically. A performance that cannot go unmentioned is that of Karan Johar as Khambatta. Not only does Johar shock the audiences by his impressive screen presence and acting abilities but also puts a distinctive mark on the list of baddies. 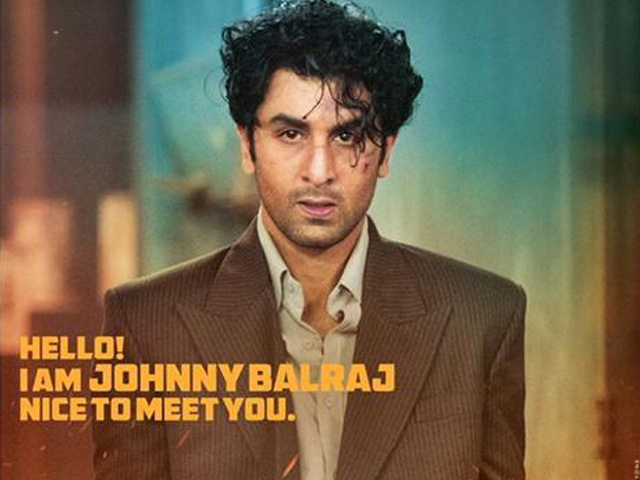 Ranbir Kapoor lives Johnny Balraj. His understanding of the character, his desires and ambitions is tremendous. Anushka Sharma, with an impressive list of films in recent times does not cease to astonish this time again. Raveena Tondon’s stunning cameo gives you the struggle of not having to blink for those few minutes. Amit Trivedi’s score is the soul of Bombay Velvet. It is the heart of the film and the film beats the way it does because of his stupefyingly ravishing soundtrack. Bombay Velvet does have it’s slow moments but they do feel honest and needed. Some would have issues with the first half being much slower than the second but quite clearly, the setting up of this plethora of characters requires the amount of time taken by the filmmakers when it pays off the way it does. Anurag Kashyap’s attempt to project the Bombay of the 60s lives without a compromise. His framing, camera movement and overall direction gets the best out of his cast and results in a solid, stunning picture. Bombay Velvet is Kashyap’s biggest film (undoubtedly) but he claims it to be his tightest budgeted film. Yet, we see a liberated film maker, believing in a story, going on and making a film coming from pure conviction. But what stands out the most is the fact that an independent film maker makes no compromise on a film with the budget of this scale. There are no “moments to please the crowd” in the film at all. A true attempt to bridge the gap between the mainstream and the alternate and in fact the best way it could be done. We have witnessed previously alternate film makers forcefully pushing in item numbers, love stories or other pleasing moments to make their main stream attempts and ‘please the whole crowd’. Bombay Velvet does nothing of the sort. Despite of 2015 already being a great year for films in India, Bombay Velvet is the best film to come out of the country this year and I would rate it 4.5/5. This entry was posted on Friday, May 15th, 2015 at 3:08 PM	and posted in Reviews and Articles. You can follow any responses to this entry through the RSS 2.0 feed. 100% agree. Its shear brilliance makes it 4.5 star.